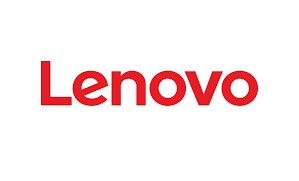 Download Lenovo USB Drivers for all Lenovo models can be found on this page. Inside the Lenovo USB Drivers you will have a USB Driver and then you can install it afterward. You can then transfer files between your Lenovo device to computer and vice versa. And you can also install stock ROM or firmware to your device with the Lenovo USB Drivers installed on your computer. The Lenovo USB Drivers for all Lenovo models are various there are ADB Drivers, VCOM Drivers and CDC Drivers (For MTK Chipset), SPD Drivers (For SpreadTrum Chipset), BroadComm Driver (For BroadComm Chipset), QualComm Drivers (For QualComm Chipset) and Lenovo Drivers (The original). Now let’s the full list of Lenovo USB Drivers based on your Lenovo smartphones, tablets and feature phones models. Use CTRL + F then type your Lenovo device model to easily find your preferred USB Drivers. Lenovo A10-70 A7600 USB Drivers – New! Lenovo A1000 USB Drivers – New! Lenovo A1900 USB Drivers – New! Lenovo A2010 USB Drivers – New! Lenovo A3690 USB Drivers – New! Lenovo A3900 USB Drivers – New! Lenovo A5000 USB Drivers – New! Lenovo A6000 USB Drivers – New! Lenovo A6000 Plus USB Drivers – New! Lenovo A6010 Plus USB Drivers – New! Lenovo A6010 USB Drivers – New! Lenovo A7-30 A3300 USB Drivers – New! Lenovo A7-50 A3500 USB Drivers – New! Lenovo A7000 Turbo USB Drivers – New! Lenovo A7000 USB Drivers – New! Lenovo A8-50 A5500 USB Drivers – New! Lenovo A859 USB Drivers – New! Lenovo A880 USB Drivers – New! Lenovo A889 USB Drivers – New! Lenovo A916 USB Drivers – New! Lenovo Golden Warrior A8 USB Drivers – New! Lenovo A706 USB Drivers – New! Lenovo A789 USB Drivers – New! Lenovo A800 USB Drivers – New! Lenovo A820 USB Drivers – New! Lenovo A830 USB Drivers – New! Lenovo A850 Plus USB Drivers – New! Lenovo A850 USB Drivers – New! Lenovo A680 USB Drivers – New! Lenovo A690 USB Drivers – New! Lenovo A660 USB Drivers – New! Lenovo A606 USB Drivers – New! Lenovo A630 USB Drivers – New! Lenovo A269I USB Drivers – New! Lenovo A316I USB Drivers – New! Lenovo A319 USB Drivers – New! Lenovo A328 USB Drivers – New! Lenovo A369I USB Drivers – New! Lenovo A390 USB Drivers – New! Lenovo A516 USB Drivers – New! Lenovo A526 USB Drivers – New! In case you don’t find your preferred Lenovo USB Drivers for your Lenovo device’s models then you can use the following Lenovo USB Drivers and we have listed all the available versions for you to choose. Lenovo USB Driver v1.1.33 – Latest Version! Lenovo PC Suite. For you to know beside Lenovo USB Drivers, Lenovo has also provided the Reachit as the PC Suite Application. Windows OS Only Software. All the Lenovo USB Drivers here are supporting only Windows Operating System based computer and therefore do not install them on either Macintosh and Linux Operating System computer. Request. You can also request to us any Lenovo USB Drivers model if you don’t find your device from the list. Credits. All the Lenovo USB Drivers here are created, optimized, developed and distributed by Lenovo, therefore all credits should be given to the company for making these software available for us all to use.